Synopsis: At the end of the 1950s, Rachel, a young office clerk living in a provincial town, meets Philippe, a well-educated man from a wealthy family. They share an intense but short-lived romance, from which a daughter is born. Over the next 50 years, their lives will be shaped by the unconditional love between a mother and her daughter, overshadowed by the impossible love of a woman for a man that rejects her, and of a daughter for an absent and abusive father. 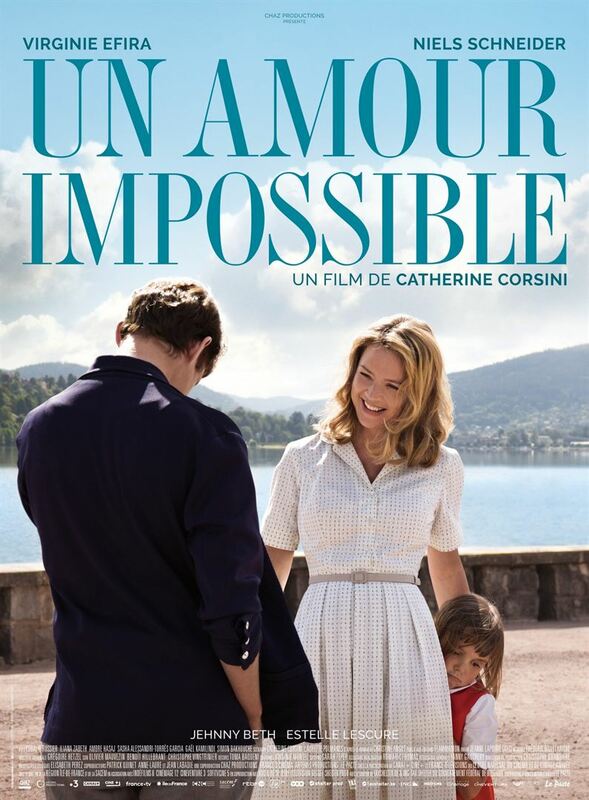 Sur la photo reprise pour l'affiche du film, Virginie Efira et Niels Scnheider se tiennent devant le lac de Gérardmer.